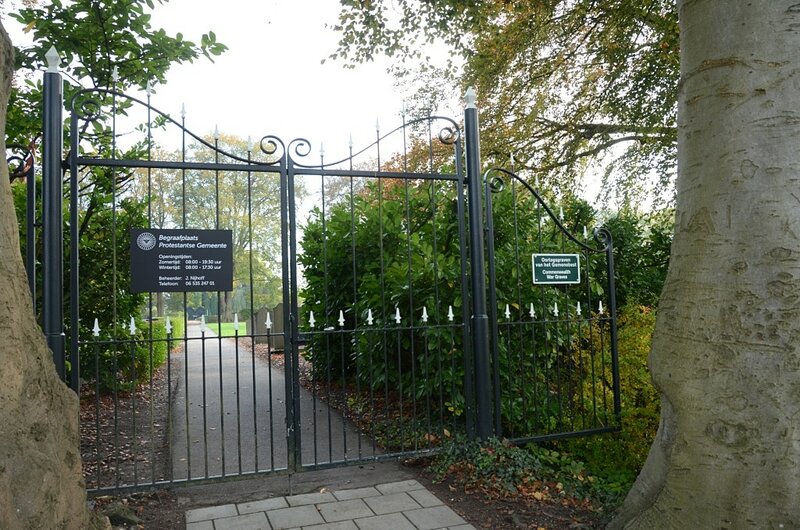 Fijnaart is a village 13 kilomwtres north of Roosendaal and 8 kilometres south of Willenstad, on the main road. The cemetery lies 500 yards south of the main road from Fijnaart to Klundert. 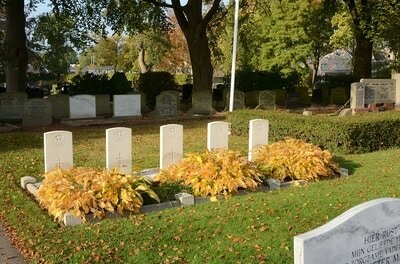 In the north-west portion are the graves of 5 soldiers of the British army. 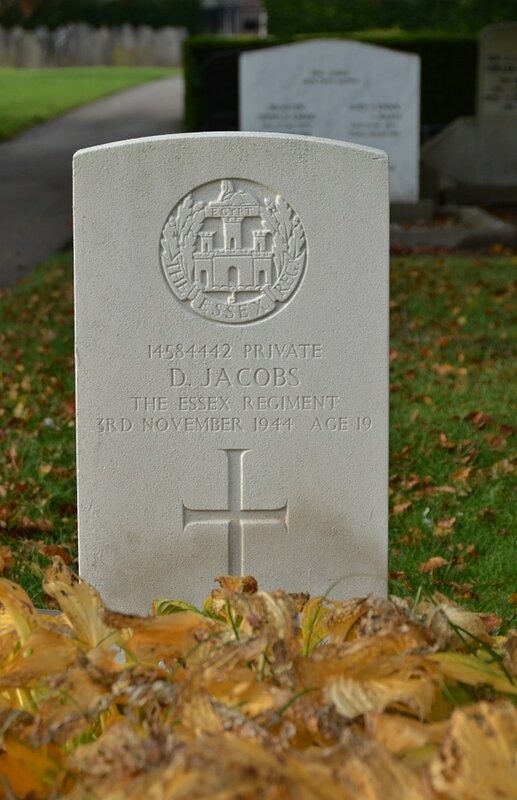 14584442 Private David Jacobs, 2nd Bn. 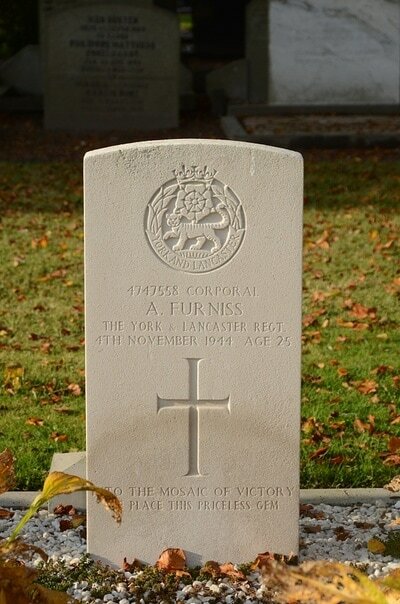 Essex Regiment, died 3rd November 1944, aged 19. Son of Percy and Edith Maud Jacobs, of Battersea, London. 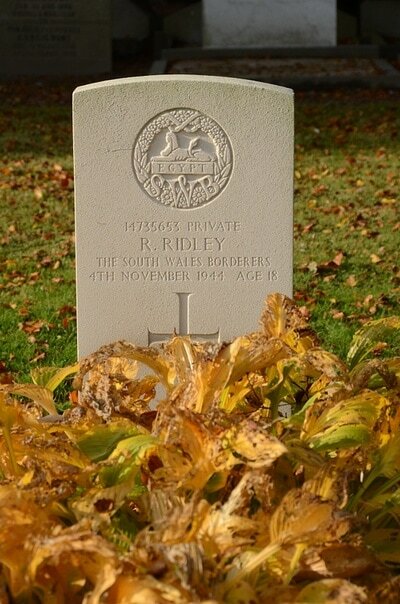 14735653 Private Ralph Ridley, 2nd Bn. South Wales Borderers, died 4th November 1944, aged 18. Son of Joseph and Eva Elizabeth Ridley, of Aspatria, Cumberland. 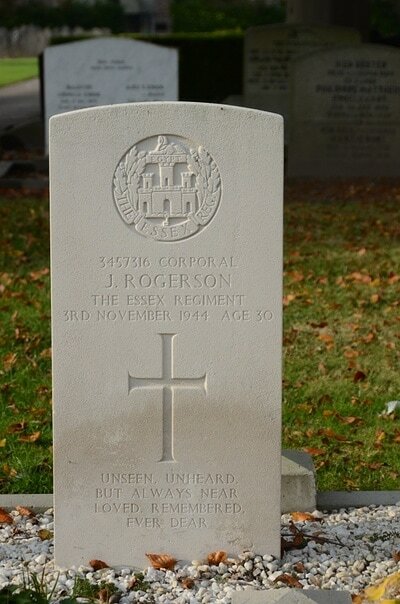 3457316 Corporal John Rogerson, 2nd Bn. Essex Regiment, 3rd November 1944, aged 30. Son of John Edward and Ann Rogerson; husband of Ethel Rogerson, of Moston, Lancashire. 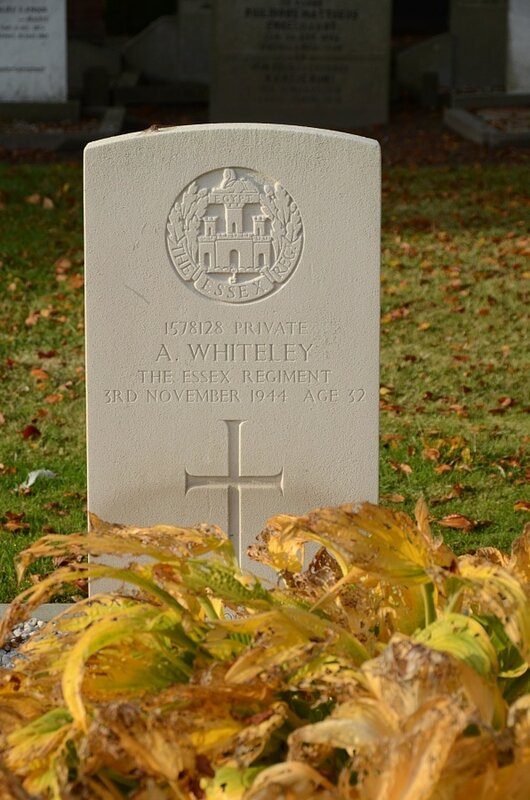 1578128 Private Albert Whiteley, 2nd Bn. Essex Regiment, died 3rd November 1944, aged 32. Husband of Alice Whiteley, of Claremount, Halifax.